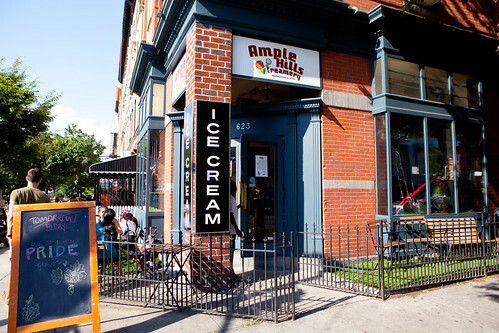 Last weekend, my friend and I headed to Ample Hills Creamery in Prospect Heights, Brooklyn before we we had dinner at Kiwiana since we had time to kill before our meal after making our trek from Manhattan. 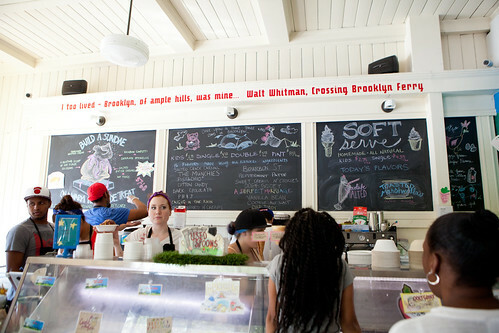 Ample Hills Creamery looks and feels like an old fashioned ice cream parlor. You’d see toddlers and tweens happily jumping around while waiting with their parents on line for ice cream for ten minutes. I remember seeing a few kids even peddling furiously on the window front’s stationary bike to burn off their sugar and cream high. 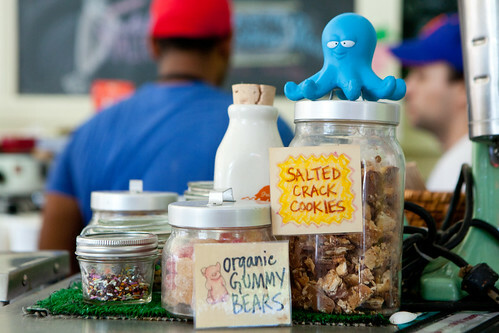 The most intriguing back story of this ice cream shop is that the proprietor Brian Smith was a screenplay writer for the Sci-Fi Channel and had audiobook projects for Obama reading Dreams from My Father or Richard Gere reading the Dalai Lama. 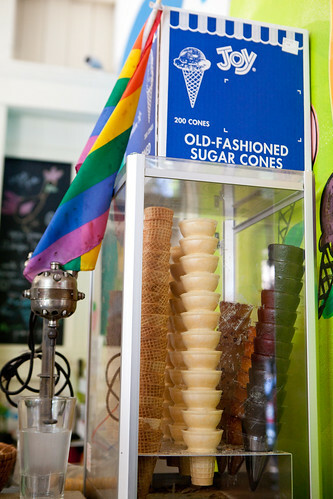 He grew tired of the entertainment industry and enrolled to the prestigious 120-year-old ice cream program at Penn State, which covers everything from fat molecules to multi-gallon production out of his dream of owning an ice cream shop. But what does that means for us? It makes for some incredibly, delicious, rich ice cream. 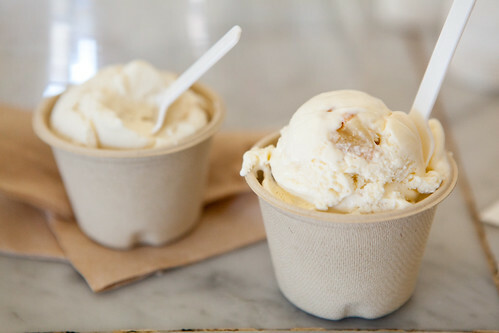 My friend and I had kid-sized cups ($2.75 each) of Ooey Gooey Cake vanilla ice cream with chunks of St. Louis Ooey Gooey Butter Cake pieces that might have changed dinner plans, if I were to have a larger size. It’s insanely flavorful of vanilla, the custard just coats the tongue of cream and the butter cake pieces were downright sinful. My friend’s Caught in the Rain (aka the piña colada sorbet) made of organic pineapple juice, organic coconut milk, and rum didn’t texturally feel like it’s a sorbet because it’s very smooth that there’s a lack of ice crystals (that’s a great thing, especially for sorbets) that we thought it’s almost ice cream. His sorbet does taste like a very tasty non-alcoholic piña colada.